Tag Archives: What is TM 21? What is TM 21? 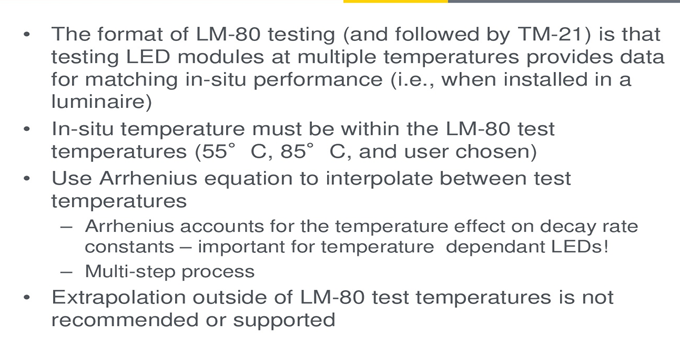 How it is different from LM 80 and LM 79? 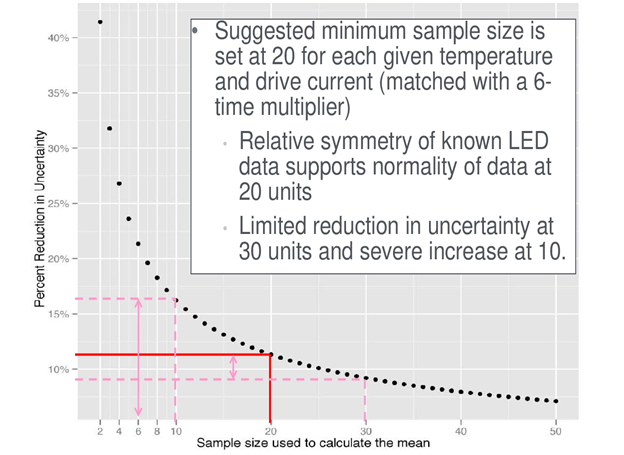 LEDs, are alike other light sources, see their output decline over time. 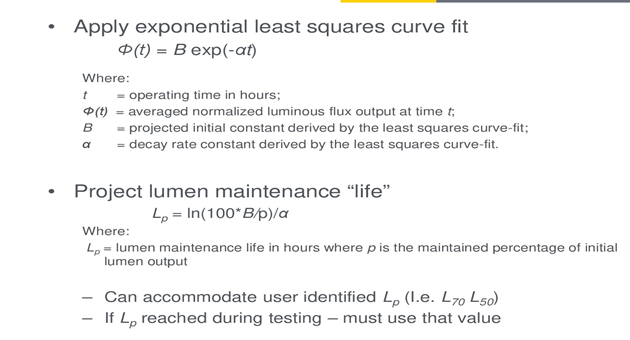 However, given the remarkably longer life of LEDs and the absence of visible signs indicating their decreasing performance, it can be more complex to accurately measure and communicate light output over time. To help address this issue, the Illuminating Engineering Society of North American (IESNA) and the Environmental Protection Agency (EPA) have put in place standards for reporting the useful lifetime of an LED package: LM-80 (Measuring Luminous Flux and Color Maintenance of LED Packages, Arrays and Modules) and TM-21(Projecting long term Lumen Maintenance of LED Light Sources). 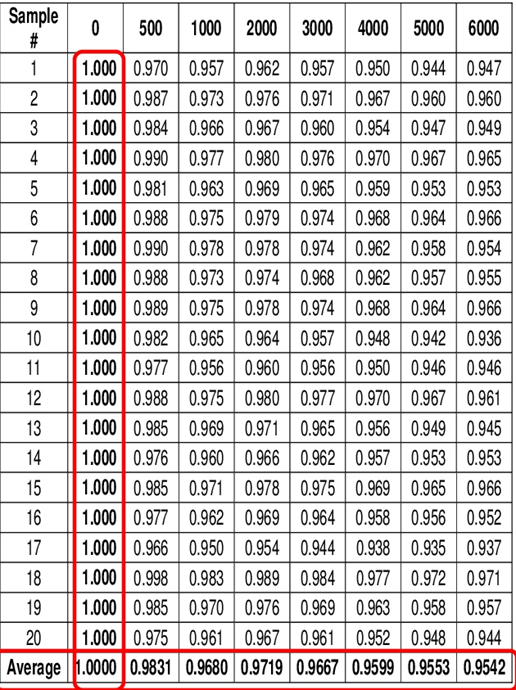 TM-21 outlines a standard calculation method to predict future lumen depreciation using LM-80 data. 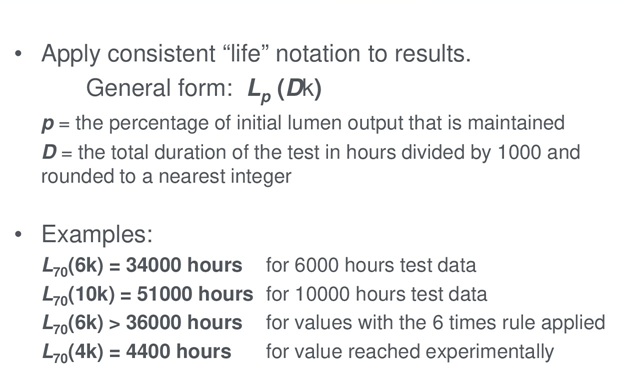 This standards apply to lifetime projection of LED package, array or module alone. 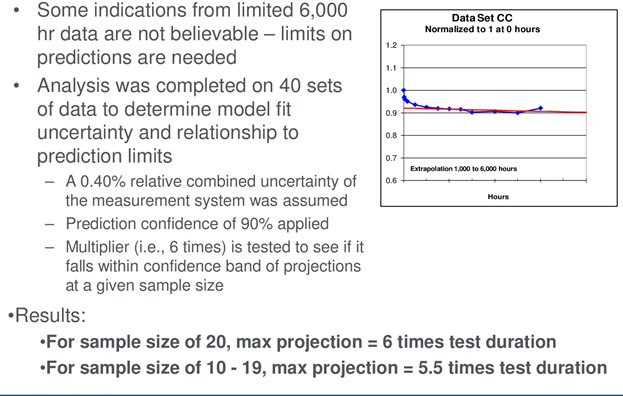 Variance associated with multiple samples is not considered usable for projection. ITC India Pvt Ltd is a NABL approved laboratory in Electrical, Electronics and photometry with a huge scope in all the fields. Please visit www.itcindia.org for scope.